Admission is free, there will be art, wine & beer for sale. Each year the artists of Placer ARC’s Studio 700 Center for the Arts create extraordinary original art. A program dedicated to serving individuals with intellectual and developmental disabilities, Studio 700 enables our clients to achieve their greatest potential as artists. 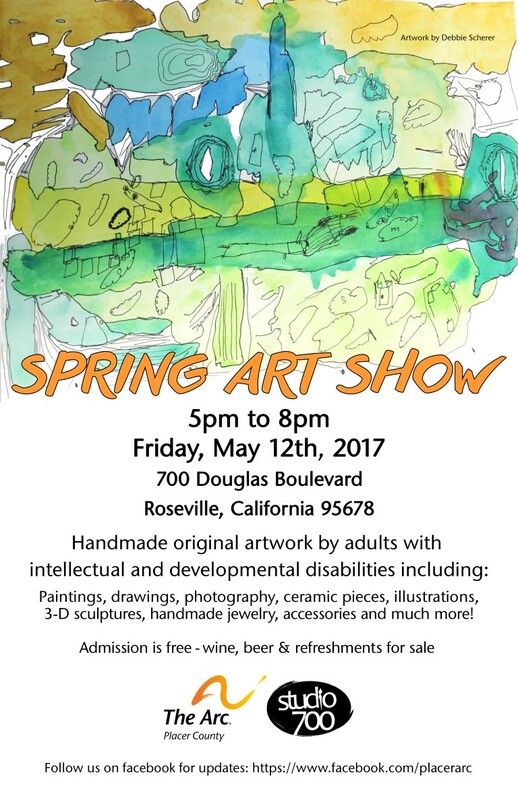 This year’s spring art show and fundraiser will be held Friday, May 12th from 5-8 pm at Studio 700, 700 Douglas, Roseville, CA 95678. Our art show has grown in popularity over the years and our last art show had record-breaking attendance. To stay up-to-date on this and other agency events, please add us on Facebook.